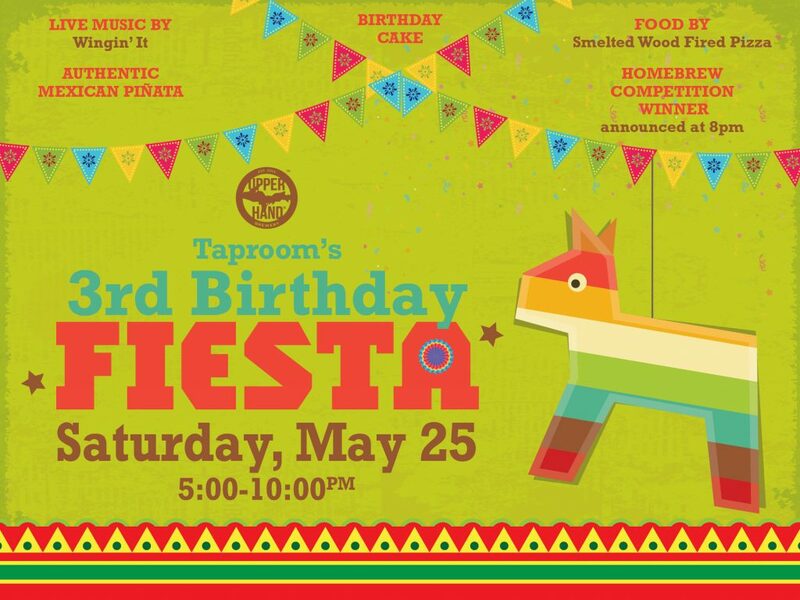 Join us as we celebrate our Taproom’s 3rd Birthday with a fiesta! There will be live music from Wingin’ It’s Pat Feldhusen, a bonfire on the patio, birthday cake, an authentic Mexican pinata and Smelted Wood Fired Pizza (formally known as Copper Crust Co.). We’ll also be announcing the winners of our 2nd Annual Homebrew Competition at 8 p.m.